Pioneers in the industry, we offer cheque with voucher printing service from India. We are successfully ranked amongst the topnotch entity offering a wide range Cheque with Voucher Printing Service. At this service, we make use of advanced technology based printing machines that assists in saving time and also flawless cheque and voucher printed results. At our manufacturing unit, our professionals utilize quality inks, vibrant color combinations, and premium quality paper for the service. 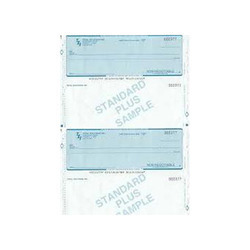 Furthermore, advanced software and applications are used for printing the cheque.